Barbara's shop features affordable fabrics, vintage buttons, and handmade fabric baskets. Pass out candy on the 31st in style with this handmade Black Candy Corn fabric basket. You'll be the envy of all the other candy distributors on your street! From You Flowers is a one-stop shop for flowers, plants, gifts, and more. How much fun is this Spider in Bloom Halloween arrangement? Fun for a teacher! Enter the site from the button in my Sponsors sidebar and you'll get 15% off your order! Theresa is a Scentsy consultant, and one of my newest sponsors. 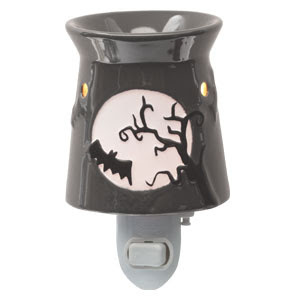 I love the look of the Scentsy plug-in warmers, and the Fright Night plug-in is perfect for your Halloween decorating! Pair it with Scentsy's Pumpkin Marshmallow scent of the month, and you are set. I love clicking through the Shabby Apple site, hunting for new looks. This Bow Skirt Dress from the Academia line would be perfect for church! 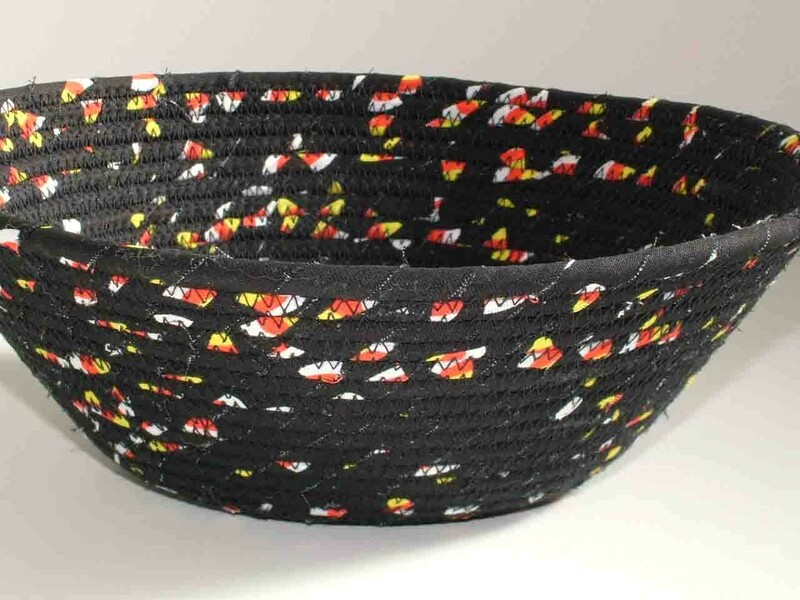 Have you seen the new fabric ink for the Silhouette? A-maz-ing! If you head over to the Silhouette shop, please be sure to use the code SERENITY when you check out. Browsing this shop is like going along on a treasure hunt in a European flea market with Mom in High Heels herself! This month, I'm crushing on this set of Bruckmann and Sohn Silverplate Teaspoons, most likely from the 1920s-1940s. 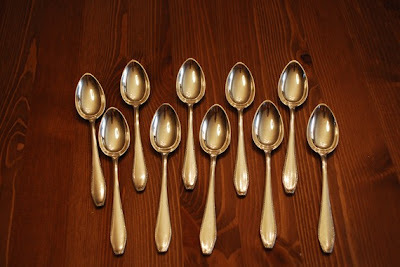 What a lovely dining room display these would make! 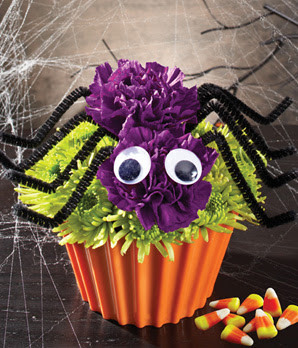 The candy corn basket and spider "cupcake" are adorable!! Amanda the bowl and cupcakes are so fun!! I am SO thrilled that Autumn has arrived!